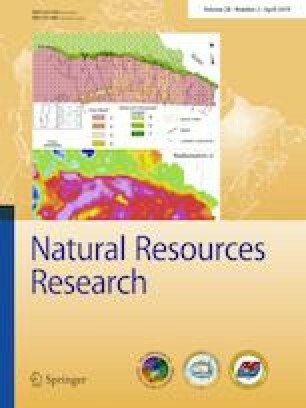 Stratigraphic rule-based reservoir models approximate sedimentary dynamics to generate numerical models of reservoir architecture with realistic spatial distributions of petrophysical properties for reservoir forecasting and to support development decision making. A few intuitive rules for the sequential placement of surfaces bounding reservoir units render realistic reservoir heterogeneity, continuity, and spatial organization of petrophysical property distributions that are difficult to obtain using conventional geostatistical pixel- and object-based subsurface methods. While these methods are emerging in applications specifically for deepwater and fluvial clastic reservoirs, there are some remaining obstacles to broad application, such as selection of rule parameters and addressing emergent non-stationarities over the sequence of the placed surfaces. Firstly, there is a need to tune rule parameters to ensure the models honor natural heterogeneities. We demonstrate this for the compensational rule. Secondly, invariants over model sequence (from the base to the top of the model) may occur with respect to shape, volume, undulation, and gradients of surfaces. For example, for a stack of compensational lobes, the volume of individual lobes may decrease due to the onlapping of previous bathymetry and also increasing undulation over model sequence may occur. In addition, for stacking of compensational lobes, the interfacial width and average gradient of the composite surface may initially increase, but then saturate and stabilize. Such non-stationarities represent numerical artifacts that may bias the results from these rule-based models. It is essential that these features are quantified and mitigated as a prerequisite for robust application of rule-based aggradational lobe methods for reservoir modeling.